Podcast S8E15 – Mike and Rob discuss Artificial Intelligence, Quantum Computers, Encryption, and more! 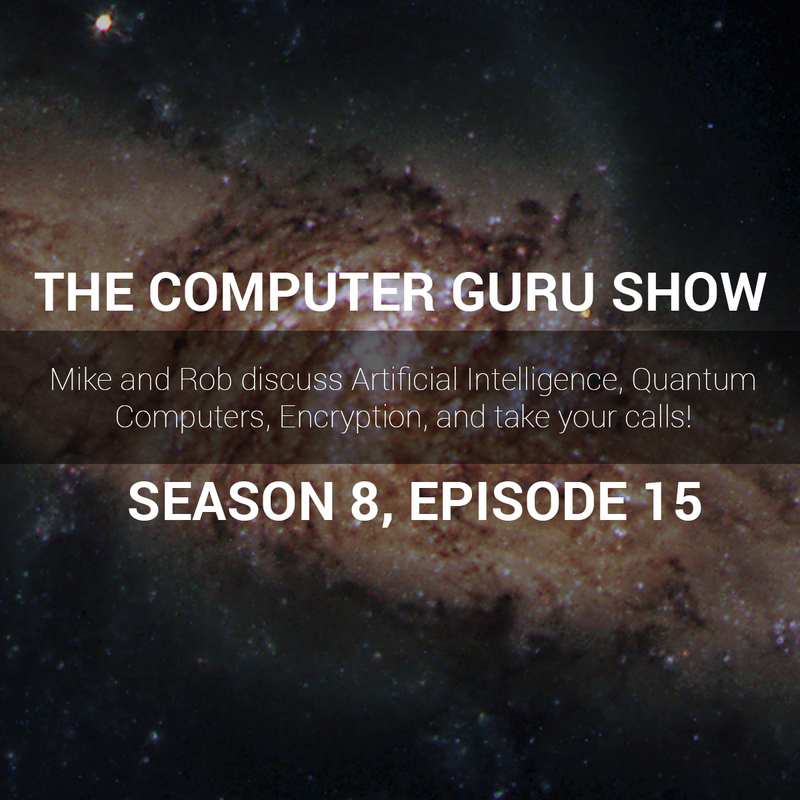 Mike and Rob discuss Artificial Intelligence, Quantum Computers, Encryption, and more! This week Rob joins Mike in the studio to discuss a range of not-so-sci-fi topics, including Artificial Intelligence; Quantum Computers; and Encryption. Mike also takes your calls and helps solve your problems live.